A lot of people would like to have strong and healthy hair but most people are born with naturally thin and limp hair. You do not have to worry about this because there are always different solutions to your current problem and one of them is to use egg for your hair.There are different nutrients that eggs have. They are essential for the health for so many different reasons. Using eggs will improve your overall hair growth so that your hair can grow faster and longer. You can provide your hair with its much-needed moisture so that your hair will look smoother and shinier. Reduce the chances of getting split ends. You can reduce the possibility of acquiring hair loss. You can strengthen the shafts of your hair. Make your hair less frizzy. Your hair will have more bounce and definition. If you currently have dandruff, you can use eggs on your hair and it will help get rid of the dryness of your scalp. This is because of the fatty acids that are found in eggs. There are a lot of people who use so many hair products on their hair without realizing that they are placing a lot of chemicals that are worsening the condition of their hair further. 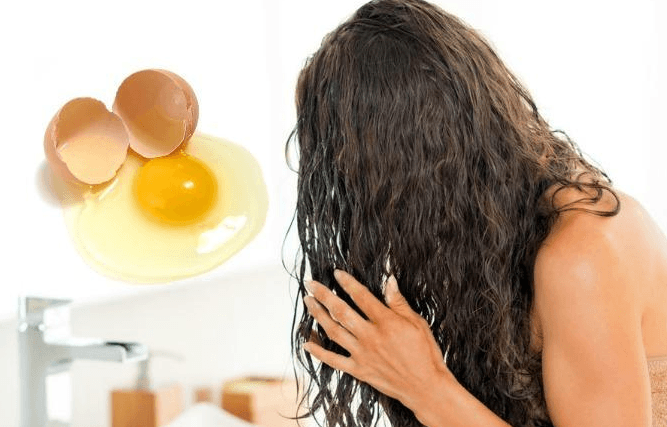 Using egg for the hair can improve the hair’s overall condition and the best part is that it is all natural. You have already learned how the egg can be good for the hair. Are you familiar with some of the treatments that you can do to improve your hair’s condition? A lot of egg hair treatments require the use of egg masks. If you follow the proper steps, you will have healthier-looking hair that you will surely like a lot. If you have oily hair, this is the best egg hair mask that you can use. 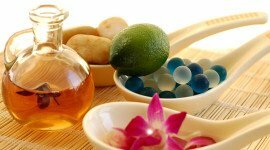 The eggs and yogurt will be effective in getting rid of the oil that has accumulated on the scalp. This egg cleansing mask will also include lemon so that the scalp will be thoroughly cleansed. A properly cleaned scalp will reduce the chances of getting dandruff. You need to blend together the above-mentioned ingredients. Once you are sure that all of the ingredients are mixed together, you can use a hair dye brush to apply evenly all over your hair. Wait for about half an hour to 45 minutes to allow the ingredients to seep into the scalp. Rinse the mask with water. You can shampoo your hair after to get rid of any smell that you may not like. This mask can be used on the hair once or twice a week. It will depend on how oily your hair is. Is short or thin hair your current issue? You do not have to worry about this as you can create an egg hair mask that can promote healthy hair growth. You need to include castor oil in this hair mask so that hair growth can be further improved. Castor oil will have the ability to make dormant hair follicles active again. 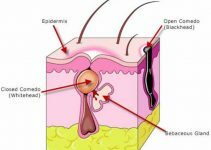 There are different reasons why some hair follicles do not grow hair anymore. The most obvious reason is they are blocked with the protein found on the scalp. You can combine the castor oil with the eggs. The amount that you will use will depend on how long your hair is. You need to whisk the castor oil and the egg properly. Use a hair dye brush in applying the egg mask all over your hair and scalp. Allow the mask to stay on your hair for about 30 minutes. You can also cover your hair with a shower cap to prevent the mask from dripping as it is in liquid form. Take note that you do not need to use conditioner on your hair anymore after you use this mask because it will be enough to condition your hair. Eggs and castor oil both contain fatty acids that will help stimulate the growth of new hair. Do you think that your hair is damaged? There are different reasons for it. Some people have damaged hair because of the different chemical hair treatments that they went through. Some also have damaged hair because of being exposed to the sun’s rays all the time. No matter what made your hair become damaged, you need to use this egg hair mask in order to improve the overall condition of your hair. For this hair mask, you only need three ingredients. The first is the egg, then you also need milk which contains ingredients that will make your hair smoother and stronger. Bananas will improve your hair’s overall condition. It will make your hair easier to manage and it will also prevent dandruff which usually appears when your hair is not in its best condition. Get one ripe banana and make sure to mash it properly. You can also blend the banana so that it will have a smooth, pasty texture. Add milk to the paste. Add egg whites to the mix. You can blend all of the ingredients again so that the paste will be smooth. 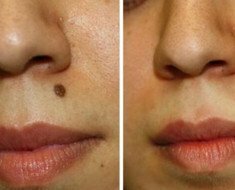 You can also add a teaspoon of castor oil or olive oil if you want but if you do not have any, that will be fine. Apply the mask on your hair and leave on the hair for about 30 minutes. You can rinse this off with your favorite shampoo. This egg hair mask can be done once or twice a week. There are some people who naturally have dry hair. They need more oil in order to make their hair look smoother and softer. If you think that your hair needs to be moisturized soon, this is the best solution to do. This is actually very easy to do because there are only a few ingredients that you need to use. You need to add honey to the mask as this will be responsible for improving the hair’s overall moisture. You will also add olive oil as this contains fatty acids that can help improve the condition of your hair shafts. Of course, you cannot forget to put eggs as this mask will not be complete without it. Whisk the eggs, the honey, and the olive oil. You can use a hand blender to mix all of the ingredients. Use a hair dye brush to apply the mask all over your hair. Make sure that you will coat all portions of your hair thoroughly. Use a mild shampoo in order to get rid of the residue of the hair mask. This egg hair mask is best done by people who have dry hair. Do this once a week and it will improve the natural shine of your hair. There are a lot of people who are currently going through hair loss and they do not know what to do about it. You cannot just let hair loss take over your life. You can do some home remedies that will help prevent hair loss. Take note that you have to go to a medical professional to assess the current state of your hair. You need to use ingredients that will hopefully reverse the effects of the chemicals and other factors that caused the hair loss in the first place. One of the ingredients is yogurt. Yogurt contains lactic acid that will help remove dirt. You also need to add milk as this can provide the moisture that your hair shafts need to become stronger. Milk will also help in preventing dandruff which can make the scalp drier. You need to mix a whole egg and yogurt together. You can adjust the amount that you will use depending on how long or thick your hair is. Apply the hair mask with the use of a hair dye mask. Make sure that you will apply to all portions of your hair. Leave the mask on the hair for about an hour. You can wash off the mask with a mild shampoo after. This mask can be applied on the hair once a week. Be consistent in doing it and you will notice that your hair loss will be reversed drastically. Wash your hair with tepid water when using egg masks otherwise, you will have some cooked egg on your hair. Do not blow dry your hair after using any of the masks. You can also prevent your hair from becoming too brittle when you steer clear of using hair straighteners all the time. With all of these things in mind, you can use the best egg hair mask that will work for your hair.